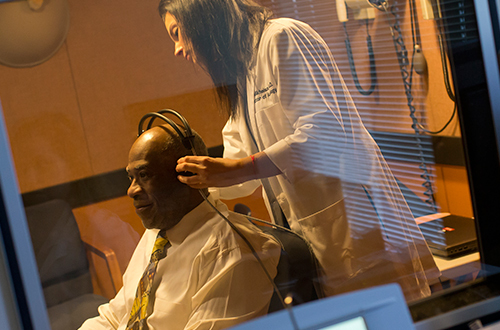 Salus University operates six clinical facilities in the Philadelphia area that provide highly specialized vision, hearing and balance, and speech-language pathology services - from the most routine to the most complex. 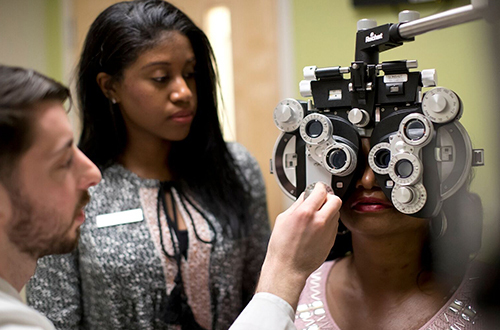 The Eye Institute (TEI) and its three satellite locations offer an array of quality vision care services for children and adults including routine eye exams, optical/contact lens solutions, specialty care and more. The Pennsylvania Ear Institute (PEI) provides comprehensive hearing and balance services for children and adults including hearing evaluations, hearing aid fittings, vestibular evaluations and tinnitus management. 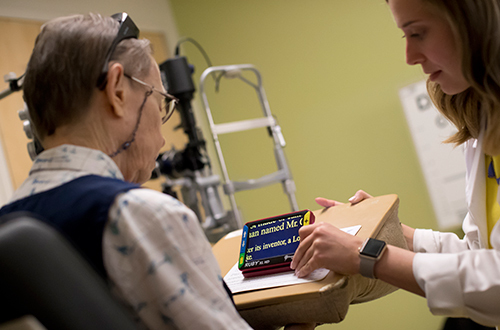 Housed at The Eye Institute’s Oak Lane campus, the Feinbloom Center provides specialized vision care, adaptive equipment, rehabilitative services and resources for patients experiencing blindness and other forms of vision loss. 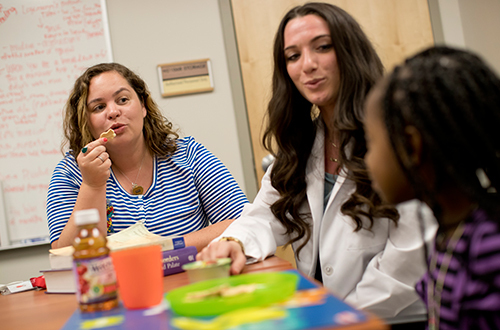 The Speech-Language Institute (SLI) provides assessments, evaluations, individualized treatment options and support group services for adults and children experiencing a variety of communication and swallowing disorders.